The fostering of many time-honored traditions is a mainstay at Hamden Hall, including our annual Lifers' Shirting Assembly. Our Athletic Program aims to develop the unique potential of each student-athlete and help each attain a positive self-image as well as a sense of confidence, independence, and leadership. 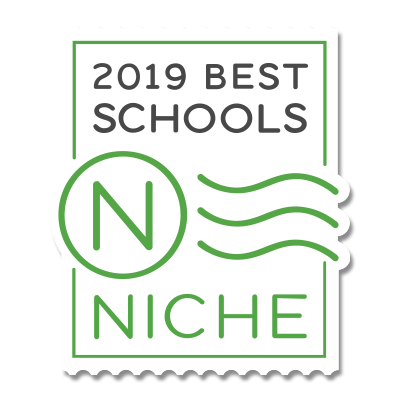 Hamden Hall's College Counseling Office continually places a high percentage of students at the nation's most competitive colleges and universities. Students are nurtured and guided by talented educators who shepherd our community of young minds utilizing the best resources both on and off campus. Fitness and nutrition education, daily recess, and outdoor play environments ensure that our PreSchool through Grade 6 students have healthy minds and bodies. The visual and performing arts are integral components of a Hamden Hall education as we weave our students' artistic visions and talents into daily campus life. With much of the same pomp and circumstance as their senior counterparts, sixth-graders annually participate in commencement exercises to mark their rise into Middle School. Our World Language Program commences in PreSchool, immersing students in the language and the culture. By Grade 7, students have been exposed to several languages. The Lower School music program explores concepts such as rhythm and group singing and exposes students to drums, maracas, bells, and much more. Hamden Hall's Early Learning Reading Program brings cutting-edge techniques and proven results to our pre-readers through Grade 3 students. 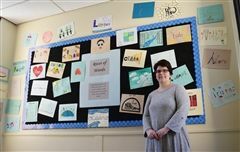 "At Hamden Hall, our first priority is offering a rigorous curriculum that challenges students. and the kinds of people they become after graduation." Harry Potter Celebrates 20 Years! Stop by the Library to celebrate 20 years of Harry Potter! Check out Harry Potter and the Sorcerer's Stone; the first book in the magical and mysterious series by J.K. Rowling. Check out the newly published paperbacks with awe-inspiring book covers by Brian Selznick. Experience Summer at Hamden Hall! 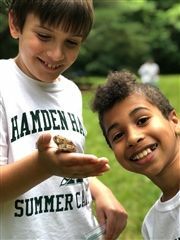 Registration is now open for Hamden Hall's various Summer Programs: Camp Hornet, Summer Academy, Sports Camps, and the Early Childhood Discovery Program. 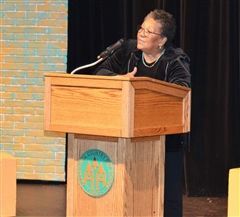 One of America’s most celebrated poets discussed her craft during a recent Upper School Assembly as the next installment of the English Department’s annual Visiting Writers program. An engaging virtual field trip ferried our fifth-graders back in time to 1770 for the trial of the Boston Massacre. A river is flowing through the hallways of Whitson with waves made of words versus water.